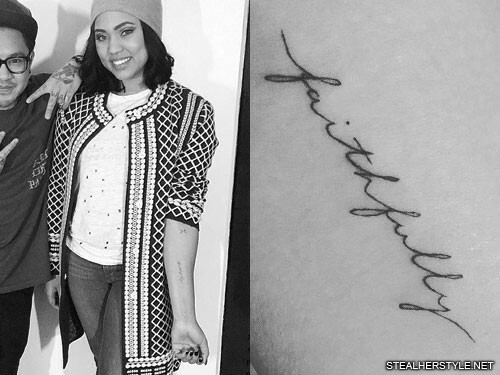 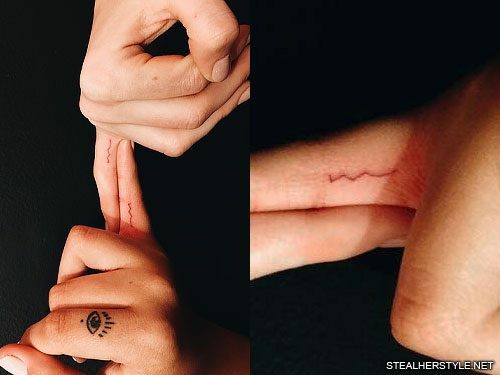 Jordyn Woods and her best friend Kylie Jenner got matching red ink letter “m” tattoos on their fingers from artist Jon Boy in May 2016. 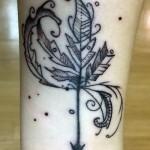 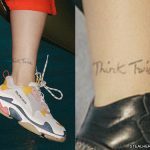 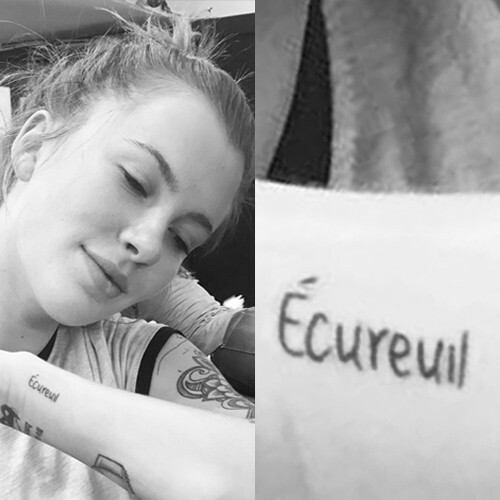 Ireland Baldwin has the word “Écureuil” tattooed on her left wrist. 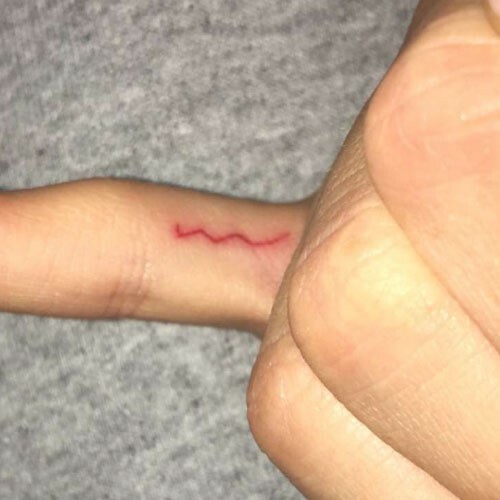 This is the French word for squirrel. 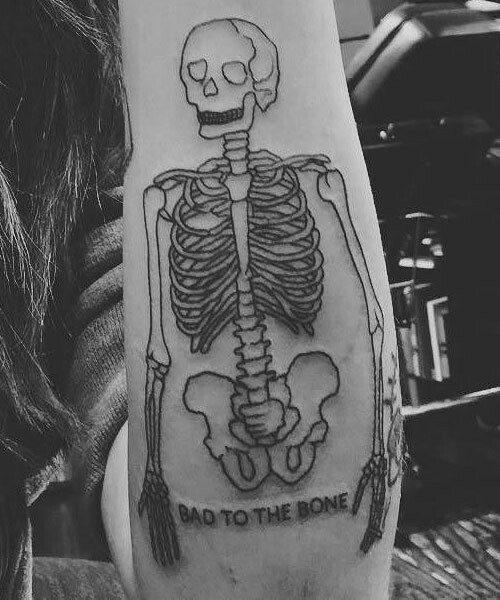 Ireland Baldwin has on her left forearm a skeleton tattoo and the message “Bad To the Bone” written at its bottom. 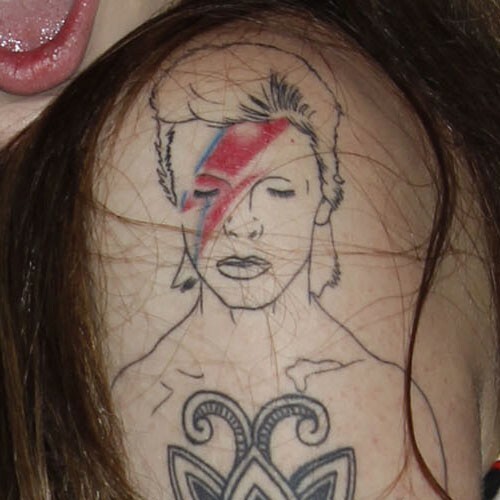 Ireland Baldwin has a portrait of David Bowie tattooed on her left shoulder, inspired by his Aladdin Sane album cover art. 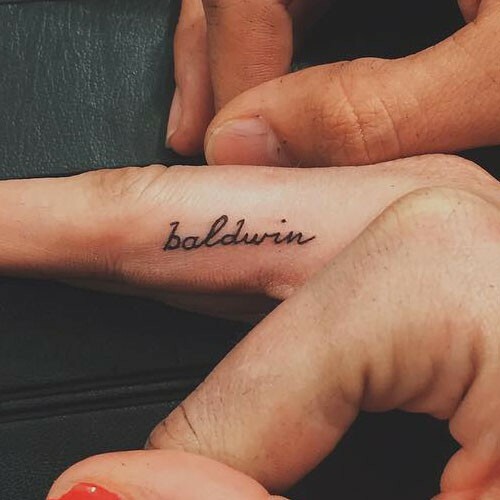 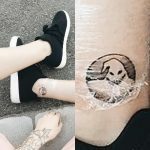 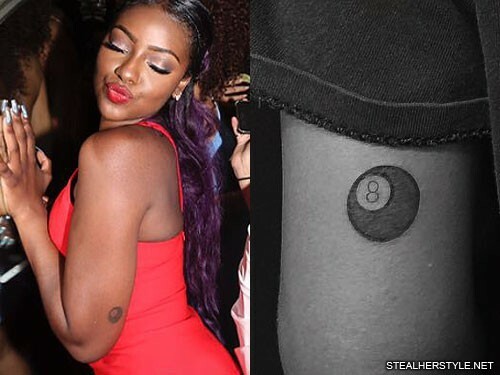 Ireland Baldwin got this finger tattoo of her last name as a matching tattoo with her younger cousin Hailey Baldwin. 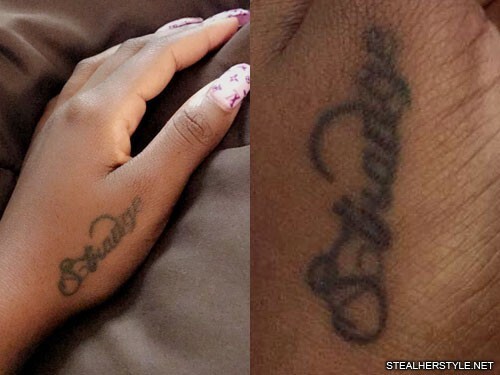 It is in lowercase writing on the side of her middle finger. 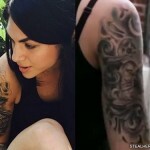 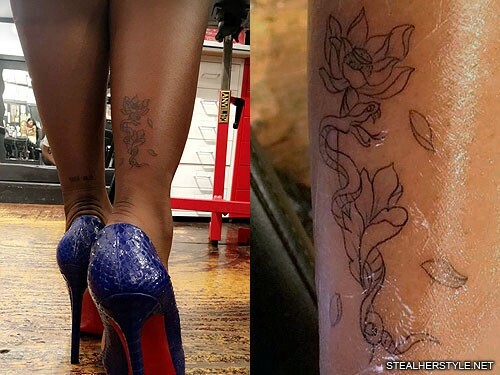 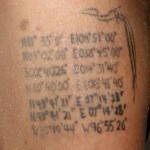 The inkings were done by New York City tattoo artist Jon Boy in July 2015.